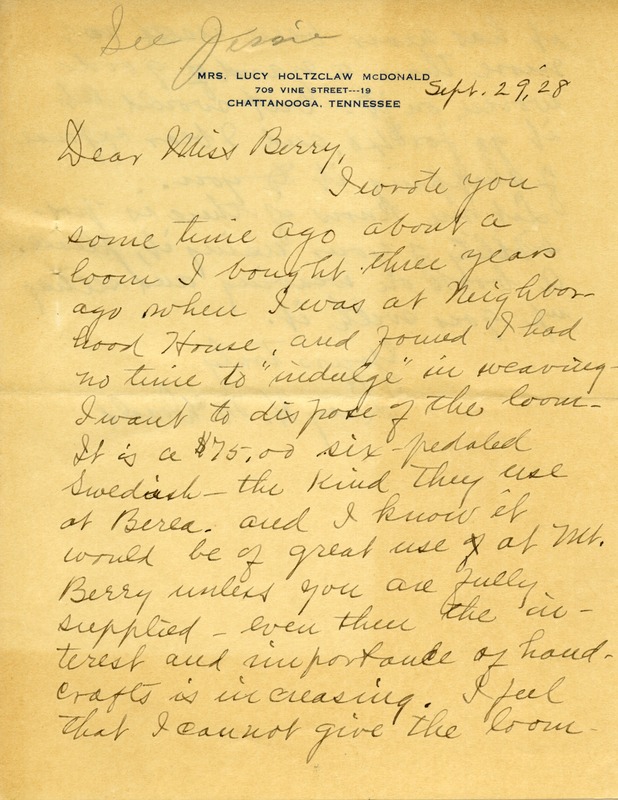 Lucy writes to Martha about a loom that she had purchased but was wanting to sell it to the Berry Schools as it has not seen very much use. 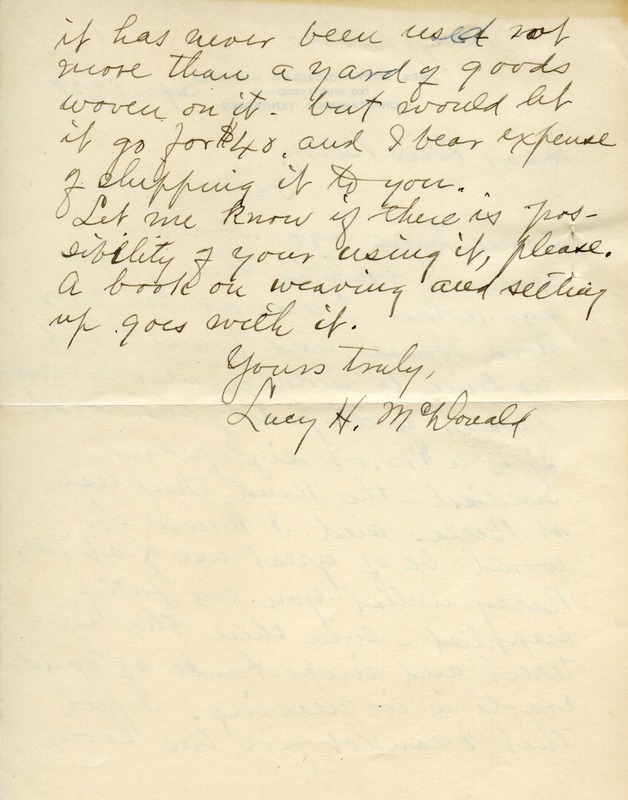 Lucy Holtzclaw Mcdonald, “Letter to Martha Berry from Lucy Mcdonald.” Martha Berry Digital Archive. Eds. Schlitz, Stephanie A., Aaron Jackson, et al. Mount Berry: Berry College, 2012. accessed April 26, 2019, https://mbda.berry.edu/items/show/8308.